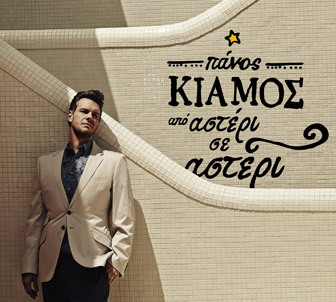 Born and raised in Athens, Panos Kiamos is one of the most popular singers in Greece. Even from his early years he lived in an environment surrounded by music which became second nature to him. When he completed his secondary education and entered into the Medical School in 1994, he started guitar and music theory lessons. At that time, he had already started to perform live in well-known nightclubs working with well-established singers. Tolis Voskopoulos, Makis Christodoulos and Eleni Dimou were some of the names that he had the opportunity to work with in his early steps. His distinctive voice and performance along with his character have been the trademark of his career! 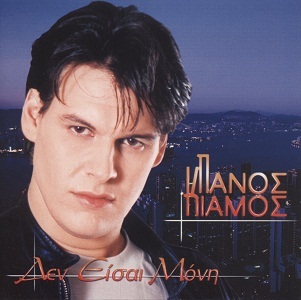 His debut album «Enas erotas latreia kai anagki» was released in 1998 and he immediately met success by singing "Ola gia senane milane" (Horis nero) and "Trelos gia sena". The following year, his second album «Den eisai moni» was released and was pretty soon applauded by both music lovers and radio producers. In 2000, the album «Tou erwta feggaria» and one of its songs "Girna Pisο" paved the way to his musical success. 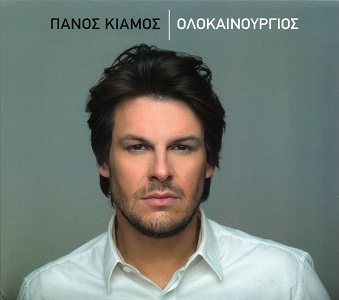 The year 2002 was a breakthrough for Panos as he found himself in Thessaloniki singing "Alithina" and "Arketa". 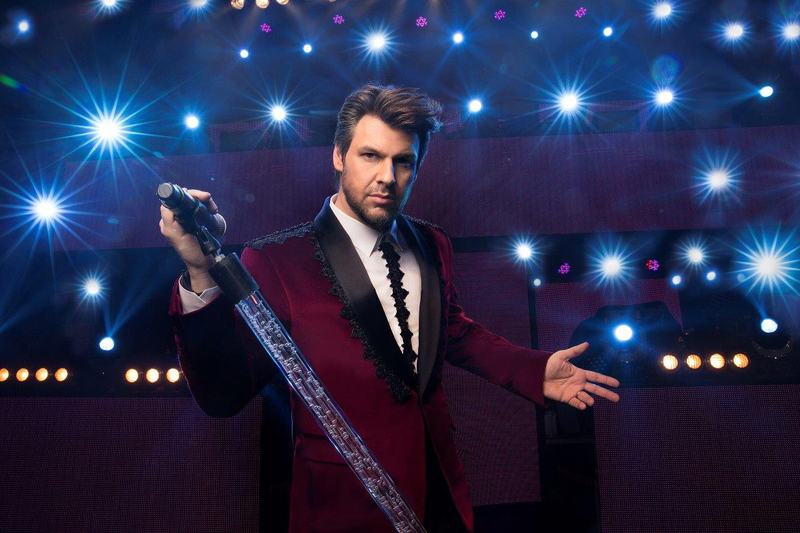 His popularity rose with live shows and a string of successful albums, such as «Tis nixtas oneiro» and «To gelio sou klaiei». 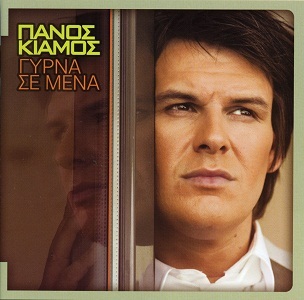 In 2004 his first double album «Panos Kiamos Live», which was recorded at “Fix Club”, one of the most popular nightclubs in Thessaloniki, was released. His popularity led to him being labeled as the most popular singer at that time and “Fix Club” was full bursting every night. The press spoke highly of Panos and his album reached gold status! In 2005 Panos had a breathtaking success!!! His performances at “Asteria Club” in Glyfada lasted eight more months than planned, breaking all previous records in the history of “Asteria Club”. Panos was doing his best to make each and every one dance the night away! His next album «Eisai pantou» has held the top position in music control longer than any other before. Shortly after, the song "San tainia palia" made everybody dance to its rhythm. Later on, the song "Vres ligo hrono" became a great hit and everyone sang it both at “Asteria Club” in Athens and at “Pylh Aksiou Club” in Thessaloniki. «Eisai pantou»was certified as gold, too! 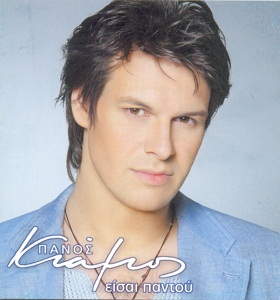 Early in the summer of 2006, Panos was given a recording contract by Universal Music. It was there that the studio album «Monima erotevmenos» was produced and released. "Exw ponesei gi’ autin" was the song that stood up and reached number one of the radio charters and therefore became the summer hit of the year! 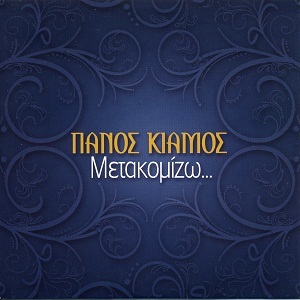 During the first days of May 2007, Panos was at “Politeia Club” in Thessaloniki and at the same time he was recording his new cd single «Metakomizw». Pretty soon, the studio album «Gyrna se mena» was released and along with the cd-single, were certified as gold. 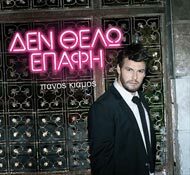 In October, Panos performed at “Anodos Club” for the second time in his career and people supported him every night!!! "Sti fwtia to xeri mou" and "Tha vgainw tha pinw" were danced and sang until the crack of the dawn! But everything changed in 2008!!! Panos welcomed into the world his newborn daughter and he started to experience fatherhood. While was trying to spend as much time as possible with his family, Panos headed to Thessaloniki for a new round of live shows at “Pylh Aksiou Club” which was well attended by around 2500 people every night! The following spring Panos began his tour in Greece, Cyprus and Germany. All of his performances brought down the house and his second live album entitled «Panos Kiamos Live–Oi dikies mas niktes» was released. 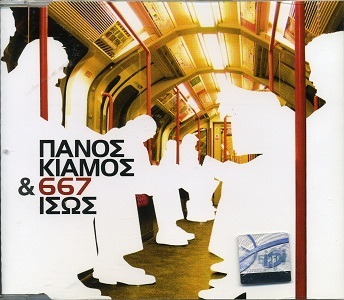 The cd contained live recordings from both “Anodos Club” in Athens and “Pylh Aksiou” in Thessaloniki. 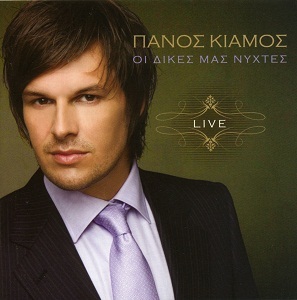 The album «Panos Kiamos Live–Oi dikies mas niktes» was, also,certified as gold. His name is a key to success and everyone wanted to work with him but, in August, Panos decided to start a new round of performances at “Asteria Club” in Athens where people’s support was huge! In November 2008 Panos released the album «Gia agapi etoimasou» including a song called "Chartorichtra" which was dedicated to his daughter!!! The song was something innovative for Kiamos to sing due to its rhythm and style! The song was a tremendous hit and was rocketed to the top!!! In January 2009 Panos was once again at “Pylh Aksiou Club” in Thessaloniki and Panos was really grateful for the 7000 people who attended his performances every week! Simultaneously, the song "Apopse fora ta kala sou", from his last album, was unexpectedly singled out despite the absence of the characteristic sound of bouzouki and clarinet and it became a tsifteteli anthem! In April Panos began to perform live at “Asteria Club” in Athens for 10 months and his success was huge! 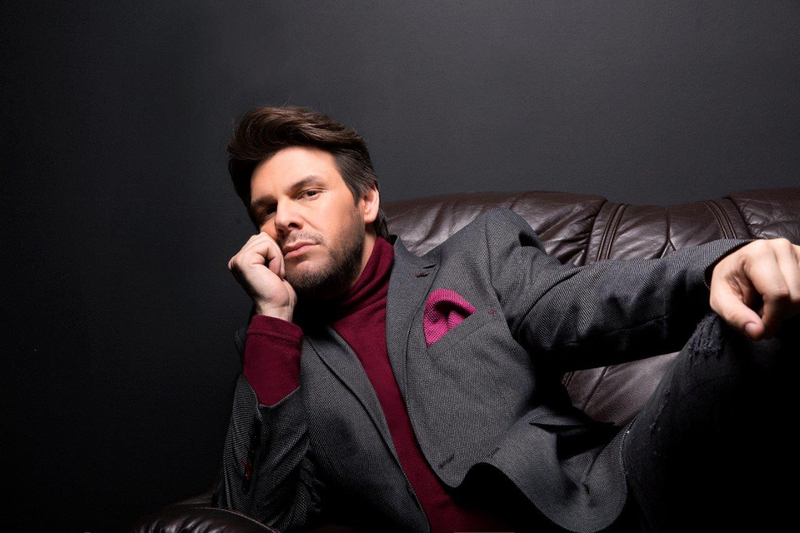 It was that time that another song from his latest album "Os ton ourano" reached number one on radio stations’ chartsand the album «Gia agapi etoimasou» reached platinum status! In January 2010 Panos went to Thessaloniki for a new series of performances at “Pylh Aksiou Club” and in March of the same year he was back in Athens in order to perform at “Posidonio Club”. In the same month "Sfyriksa kai Elikses"was released and blew everyone’s mind away! The song was soon the season hit and even won a Mad Video Music Award for the best catch line! Panos dedicated the award to his father and his son who was born 40 days earlier. Undoubtedly, Panos was in his best phase of his life since he has achieved a career development and a personal fulfillment. His performances were the talk of the town and his new album «Tha ziso gia mena» was certified as four times platinum!!! Panos’ singles "Eimaste ena", "Tha ziso gia mena", "Ennoeitai", "Aftos sou paei", "Dikos sou gia panta" were being broadcasted all over Greece! In February2011, and despite the economic crisis in Greece, Panos’ performances at “Posidonio Club” ended successfully after eleven months. 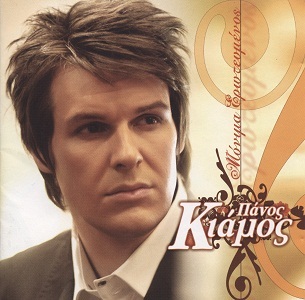 At the same period, his album «Panos Kiamos best of» was released. One month later, in April 2011, Panos was again performing at “Posidonio Club” while at the same time his song "Apo Deftera" was being played on radio stations across the country. "Apo Deutera" was the lead song of his album «Olokainourgios», which was the most successful one till then. 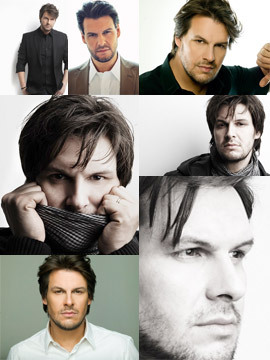 Panos was enjoying great success and he was the only artist whose performances lasted ten whole months! An emotional performance of his songs "Apo Deftera", "Olokainourgios", "Ante na min trellathw", "Den methaw" and "Den gyrnaw selida" propelled all of them to the top of charts!!! 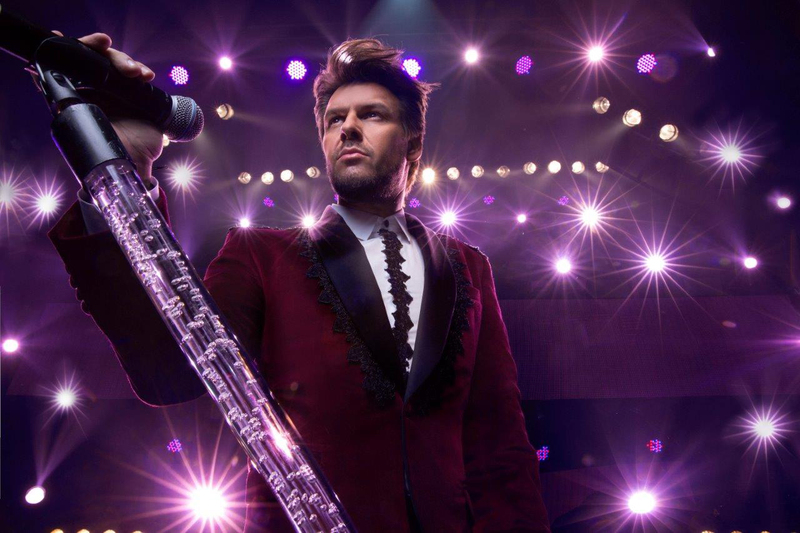 For the first time in his career, Panos kicked off concert tours in America, Canada, Australia and Germany. All of his concerts were sold out and Panos managed to put a smile on people’s faces and he himself was on cloud eleven! In March2012, Panos began his performances at “Posidonio Club” for third season in a row! At the same time everybody was tuning into various radio stations to listen to "Krystalla", a really unique song which moved up the charts. The lead single "Krystalla" became the first song of that album to have been so loved by the music lovers. 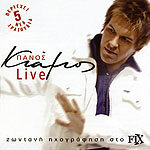 In September2012, Panos was once again at “Fix Club” where in 2004 his album «Panos Kiamos live sto Fix» was recorded. The huge success led to an extension of his programmed performances till the end of mid November! Panos then decided - once again - to risk and chose to perform live at “Club 22 Live Stage” on Vouliagmenis Boulevard in November! The club was fully renovated so as to host all of his fans who continued to support him wholeheartedly. His performances lasted till May 2013! «Krystalla» was the number one album of the year since 7 of its songs became immediately top hits!!! Among them were the "Krystalla", "To aima mou piso", "Nikises pali", "Epeidi mporo", "Grothia sto mahairi", "Me peirakse" and, of course, "Fotia me fotia" which was the one that blew everyone’s mind! During the summer of 2013, Panos embarked on a short tour in Australia but he still programmed concert tours around Greece as well. The love of the people was really touching and Panos could not help but feel blessed! In September 2013, Panos was again in Thessaloniki at “Fix Club”. The radio stations were playing his brand new ballad song "Den thelo epafi" which climbed to the top of the Greek charts quickly and soon the same named album was released! Two months later, Panos began his live performances at “Club 22 Live Stage”, which turned out to be the hot spot of city’s night life for more than six months! It came as no surprise that the songs from his latest album, such as "Den thelo epafi", "Den mou pernas", "Skotoneis", "Poso ligo m’ agapas", "Den eisai I katallili", "Duskola vradia", "Ase me emena" met success pretty soon! The followingsummer, Panos toured all over Greece and abroad and in July he released a new song "Duo matia ble". This song was a summer hit! At the end of August 2014, Panos’ fans could enjoy him at “Politia Live Clubbing” where they were getting a kick out of dancing! While he was enjoying a great success he travelled on October and November to USA and Canada for a bimonthly tour concert which was outstanding!!! On November 20, 2014, for the third consecutive season, Panos met his fans at “Club22 Live Stage” in which the fun never stopped for more than six months! At the end of May 2015, Panos was in a mini tour in Australia and the Greeks abroad rewarded him with a loud ovation! On June 1, 2015 country's radio stations were airing the brand new song "Apo asteri se asteri" - a forerunner of his new album. The song was a summer success as for 8 whole weeks it hold the top position of radio airplay! During the same month, Panos started his performances at “Politia Live Clubbing” and, despite country’s political instability, people of Thessaloniki went wild every night. In late September, radio stations around Greece were playing his new ballad "Pos tha ti vgalo", another single from his yet unreleased studio album. For the fourth consecutive season, since October 22 Panos was appearing on the stage of “Club22” where he was singing out energetically while the crowd was being drifted into a trance. After taking a 2-year-break, Panos released his new 18-song studio album "Apo asteri se asteri", in October, 2015. The lead single became the campaign song for the charity organization “Make a wish” since both Panos and his record label, Cobalt Music, are benevolent. After having performed at “Club 22” for six whole months, Panos said goodbye to his fans. 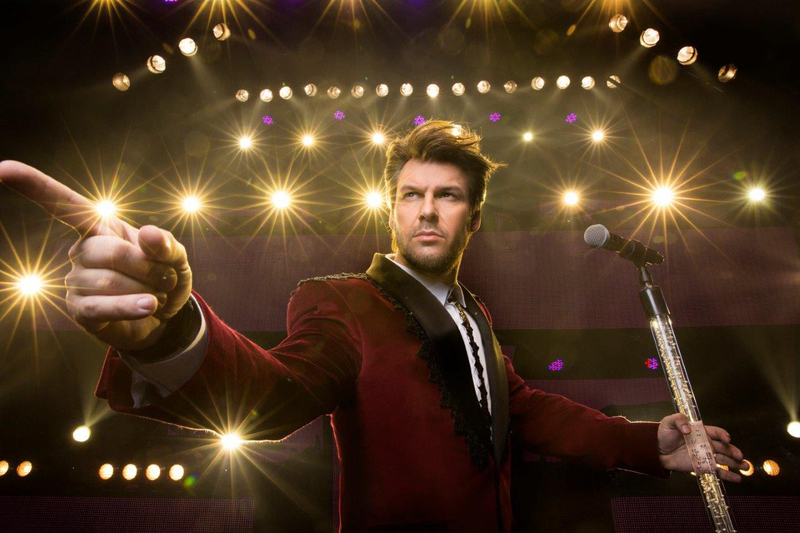 Throughout the season, Panos was always in high spirits performing both his major hits as well as other popular songs. The crowd was whipping into a frenzy while he was singing "Trelokomeio", his new dance hit which, also, reached the top of the music charts. At the end of his summer tour in 2016, Panos was back at “Club22” for fifth year in a row! His successful performances were, though, interrupted by a tour in both the USA and Canada but the Greek audience was not ready to say goodbye just yet- and after his return to Greece he continued his live performances for another two and a half months. “Ti les na ftaiei”, “Sexorizo”, “Sto poto” and of course, the song “Apothimeno” were singled out from his latest cd. The latter did hold top positions of radio airplays for months! In May 2017, he traveled to Thessaloniki where he was welcomed warmly and people let him entertain them at “Politia Live Clubbing”! Meanwhile, people were dancing his freshly released summer rhythm single “Sto ftero”. When September of the same year came, Panos returned to the familiar stage of “Club 22” for the sixth time and the great success was already known: Our favorite singer knows how to enchant the audience and his name got a synonym to nightlife! After a five-month performance, he flew to Australia where the Greek expatriates gave him a warm-hearted reception and his concerts were all sold out. 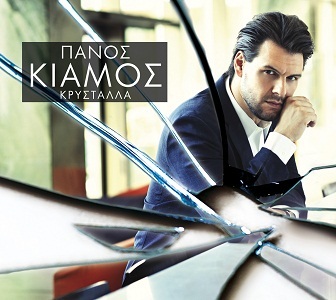 In May 2018 and almost after three years of no discography, the new cd, entitled “Panos Kiamos”, was released. It included 19 songs and it was, perhaps, his most mature work to date which revealed the fact that he is both known as a “performer” and an “entertainer”! The singles “Allou esu” and “Hartaetos” that were released a few months before the cd, reached the top of radio charters. Then, it was “Thelo na se ksanado” that turned to do the same thing! During the same month, and after an absence of six years from the night spots in Poseidonos Avenue, known also, as Paraliaki, he came back more readily than ever in one of the most impressive and historical clubs there, “Posidonio”- proving he still retained the adulation.